This 8 day, Myanmar motorcycle tour takes us out of Thailand & to the wildest, lawless town in Myanmar, at the China border – Mongla. Xiaomengla (小勐拉) or Mongla as it’s commonly known, grew from a small town in the early 1990’s, to a multi million dollar, mafia run, crazy township that it is today. Through gambling, prostitution, smuggling & narcotics, with protection money paid to the Myanmar, Kachin military (to stay away), the town booms. With gambling illegal in China, Mongla over the border in Myanmar, attracts 1000’s of visitors every day, indulging in all kinds of questionable activities, there’s even an exotic animal market (photo & video is prohibited), one of the most fascinating towns I’ve ever been to. 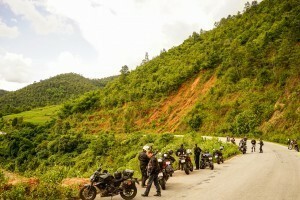 Light traffic makes the curvy road north in Myanmar an absolute joy to ride in a group. After a fantastic days riding through Thailand, It’s then a beautiful ride through the Shan State mountains, in Myanmar, with great curves. 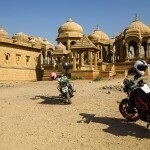 So if you’re looking for a really unique motorcycle tour in Asia, you can’t beat this one for sure. 8 day tour – USD$ 2,095 All inclusive. Chiang Mai, Thailand to Chiang Rai, Thailand (320 km) We will leave Chiang Mai (Thailand) & ride some of the best curves in Thailand, +300km’s of fun, spending the night in Chiang Rai (Thailand). 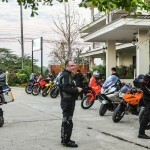 This tour into Myanmar starts with a race track like ride north in Thailand towards the Myanmar border..
Chiang Rai, Thailand to Tachilek, Myanmar (100 km) We head for the Thai/ Myanmar international border crossing to deal with the Myanmar entry formalities. Most of the paperwork has been processed by our ground handlers in advance, so usually a painless process. After entering Myanmar, we will visit some unique history in the border town of Tachilek, Myanmar, with great views of the surrounding areas. We spend the night in Tachilek, ready for the ride north the next day. 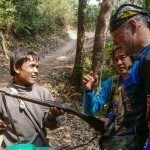 With formalities pre-processed, entering a motorcycle tour group into Myanmar is quite easy. When entering a motorcycle tour into Myanmar, there’s some formalities regarding immigration that can only be processed on the day of entry..
Tachilek, Myanmar to Kengtung, Myanmar (160 km) Today we ride north through numerous ethnic villages towards the ancient, 14th century town of Kengtung (Chiang Tung). 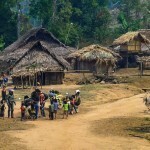 Along the way, weather permitting, we will ride to some untouched, Akha Hilltribe villages in the mountains. It’s a very prosperous region, which produces teak, sugarcane, rice & tea. Kengtung has a fabulous market with lots of different ethnic & historic artifacts, ranging from Akha Hilltribe attire, right through to old, imperial British coins. There are some beautiful temples in Kengtung that shouldn’t be missed. 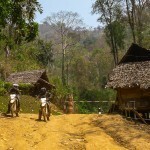 Amazing roads take us north towards Kentung on this Myanmar motorcycle tour. The temples in Kentung are exquisite, a real bonus on this Myanmar motorcycle tour. Kengtung, Myanmar to Mongla, Myanmar (90 km) A beautiful, windey ride through the mountains, north to the crazy city of Mongla. 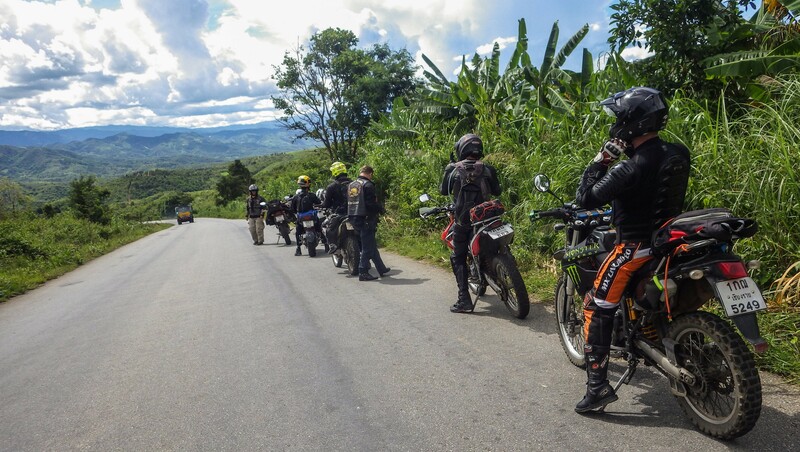 The road from Kentung, north to Mongla is a fantastic motorcycle ride through the Myanmar mountains. There are many military checkpoints along way, then we enter the Kingdom of Mongla. Still a highly sensitive area. There’s still many Military checkpoints when riding through Myanmar.. Entering the big city of Mongla, we will spend two nights here, so that we can have a good look around. It’s a very unique, special place, like nothing you will see elsewhere in the world. Into Mongla city on a Myanmar motorcycle tour, you won’t forget this place in a hurry. Mongla rest/ exploring day There’s too much to see here, so we spend a full day here (2 nights in Mongla) taking a look around. You have to be open-minded as you will see things that some will feel is shocking. Various animals being shown for consumption in restaurants, obscure animal ancient medicines & liquor containing tiger carcasses & snakes are common in Mongla. 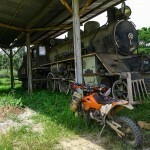 Some of the things you will see in Mongla will shock you. Here monkeys on display outside a restaurant. Mongla, Myanmar to Tachilek, Myanmar 240 km We ride south back towards Tachilek, making this a full day, fun ride, back to the Myanmar/ Thai international border. Not the easiest thing to use, lots of technique needed! 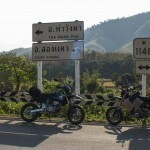 Once back into Thailand we ride the Thai/ Myanmar border roads with outstanding views. Thaton, Thailand to Chiang Mai, Thailand 250 km The last day of this fun packed motorcycle tour & we ride the mountain roads back towards Chiang Mai. We will take the border roads back towards Chiang Mai, which have some of the best views in South East Asia for motorcycle tours. 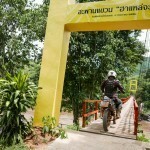 Day 1: Chiang Mai, fun roads to Chiang Rai. Day 2: Chiang Rai into Myanmar, sleep in Tachilek, Myanmar. Day 3: Tachilek, Myanmar to Kengtung, Myanmar. Day 4: Kentung, Myanmar to Mongla, Myanmar. Day 6: Mongla, Myanmar to Tachilek, Myanmar. Day 7: Tachilek, Myanmar to Thaton, Thailand. 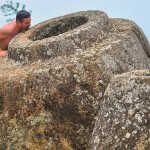 Day 8: Thaton, Thailand to Chiang Mai, Thailand. 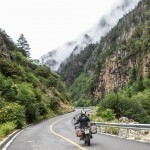 A China motorcycle tour into Yunnan, China is one of the most spectacular places you can ride. Finally open, Myanmar motorcycle tours are truly special.